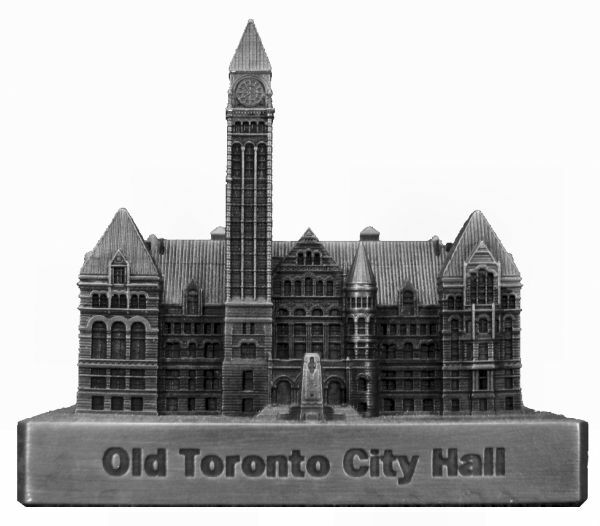 The Old Toronto City Hall at 340 feet tall was the city's tallest structure when completed in 1899. Our 150' scale replica is 2.75" tall and is pictured in antique pewter. This Model is small but great ! The old Toronto City Hall looks fantastic with black Stain.